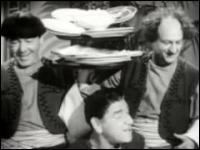 This page is dedicated to the 3 Stooges shorts that are in the public domain. 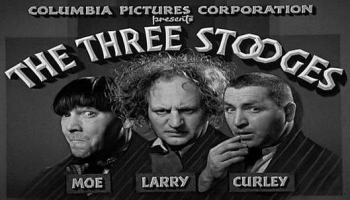 The trio was originally composed of Moe Howard, Larry Fine, and Shemp Howard. Their first short was Soup to Nuts, shot in 1930. 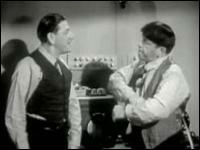 Shemp left the trio shortly after and was replaced by the memorable Curly Howard, though Shemp would return to the group when Curly suffered a stroke in 1946. 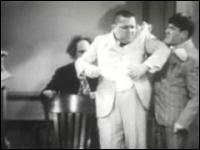 While the vast majority of the 3 Stooges shorts are copyrighted, 4 have fallen into public domain for your enjoyemnt.